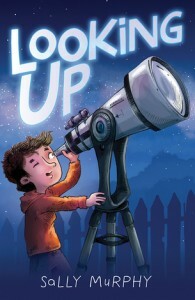 I'm Sally Murphy, an Australian author of over 40 children's books. I'm also the slightly crazy mother of six beautiful kids. You'll find bits of me buried somewhere in every one of my books. I love reading, writing, and speaking about reading and writing. View my books or hire me to speak at your school, festival, or writers group. 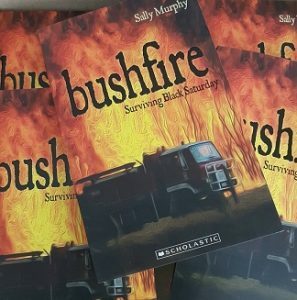 Twelve copies of Bushfire – part of Scholastic’s My Australia Story series. Although I had seen the cover before, I got a brand new thrill seeing it on real life copies of the books. And, over the weekend, I sat down and reread the book and may have even got a little teary as I reacquainted myself with the tale. I can’t wait to share it with the world. 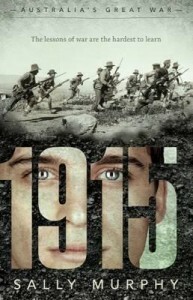 Bushfire is due for release on February 1, 2019, and is available for preorder from Booktopia and other good bookstores. I am so lucky to be part of the Poetry Friday community – poets and poetry lovers from all around the world who post poetry goodness especially on Fridays. I am especially lucky that there are not rules in this community about the regularity of postings. Every week since my return from Hanoi I promised myself this would be the week I finally posted something. But life has been busy – a wedding (my son’s), a new baby (different son), Christmas, birthdays, anniversaries, swimming training. And that’s just the personal stuff. Professionally, I have been busy teaching online, and preparing for a return to oncampus teaching in February, as well as preparing for a new book baby out February 1, running picturebook workshops, and trying to work on the things I drafted in Hanoi. Phew. 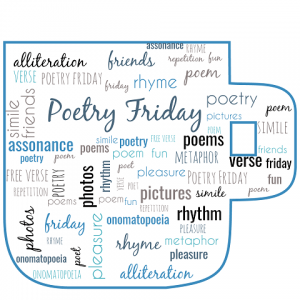 This week, however, I have been espousing the wonders of poetry to my students (future teachers), so it seemed to be the week that I HAD to make the extra effort to get on here and post for Poetry Friday. Then Friday rolled around and I still hadn’t written anything new and really didn’t know what I would post. Lucky for me, when I went out to water my plants this morning, I found the very inspiration I needed. There, nestled in the branches of my jade plant, was a wasp nest. I grabbed my camera, and took some snaps, and almost instantly had an idea – based on the very reason the jade bush is on my front verandah. It’s supposed to be lucky! So, here you have it – a little bit rough , because it’s hot off the press – my first Poetry Friday poem for 2019.
good luck will come your way. as I will let you stay. Now, lucky for me, I get to go and see what my fellow Poetry Fridayers have been up to. You can too, by starting at the round up on Tricia’s Blog, The Miss Rumphius Effect. Trica’s post is a lovely tribute to Mary Oliver, who will be sadly missed by poetry lovers everywhere. I hope you’ll agree it is a stunning cover. I love it: I feel that it manages to capture the sheer ferocity and frightening reality of the fire. 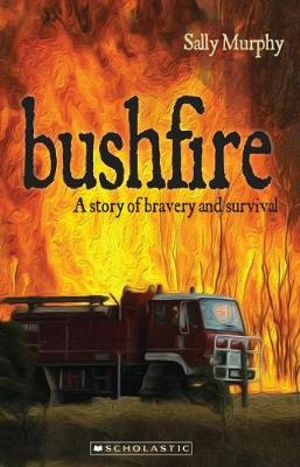 Bushfire, part of the My Australian Story imprint from Scholastic, is a fictional story but is set amidst the very real, terrible fires of February 2009. It was an honour to be asked to write about these events for the series, and I hope I’ve done them justice. I am home home homity home. I had a wonderful time in Hanoi, writing, exploring, meeting people, writing, walking, writing… but all good things must come to an end, and coming home is always fabulous. It is wonderful to be back with my wonderful family, to walk on my beach, to see my friends and to sleep in my own bed. It is taking me a little while to get back into the swing of daily life – with the wedding of one of my sons happening soon after my arrival and, of course, three months worth of things to catch up on. It’s a good kind of busy, though, and I am happy and content. 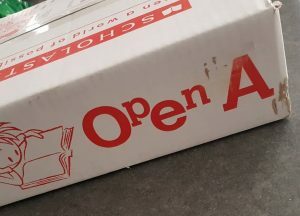 One of the things I had to do when I got home was open three months worth of mail, a task which took a few days. It was a specially lovely surprise to find not one but two parcels containing author copies of new books – installments seven and eight of my Sage Cookson series. 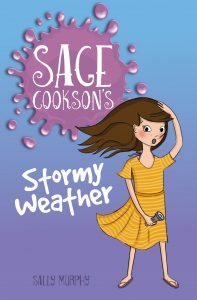 First, there was Stormy Weather, which sees Sage visit Townsville and experience a cyclone first hand. This book is dedicated to my friends at Kirwan Primary in Townsville, a school which holds a very special place in my heart. My annual visit there is a highlight of my touring calendar. I have signed a copy and posted it off to Kirwan – a tiny token of my very great love for the school and every one there. 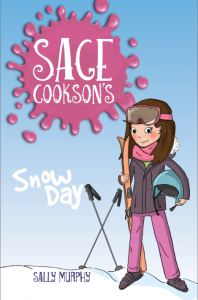 And then there was a second parcel containing copies of Snow Day, in which Sage (and her parents) head off to the snow for a relaxing weekend – with Sage promising to stay away from danger. Both books are out now. As for me, I am busy, among other things, finishing off the two new books I started work on in Hanoi, among many other things.